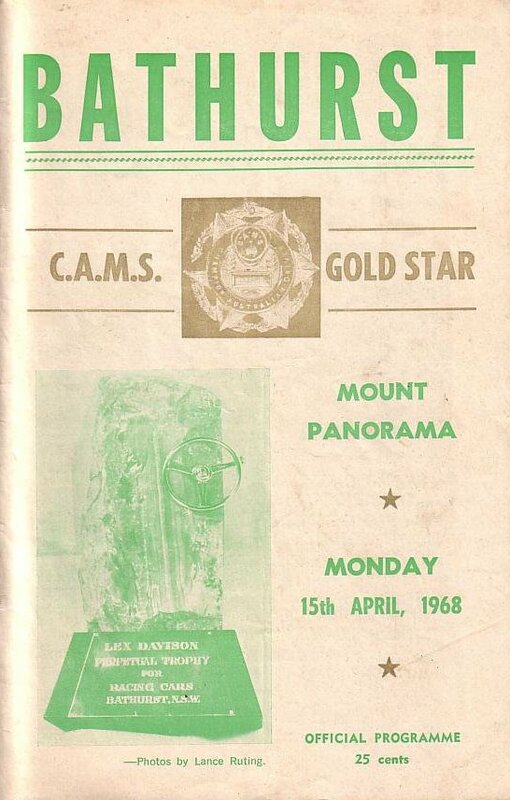 1968 - MOUNT PANORAMA LEX DAVISON TROPHY 15th April 1968. 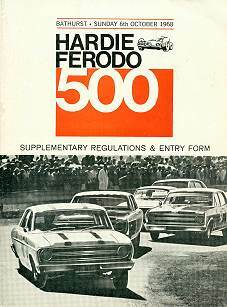 1968 - MOUNT PANORAMA HARDIE FERODO 500 6th October 1978. 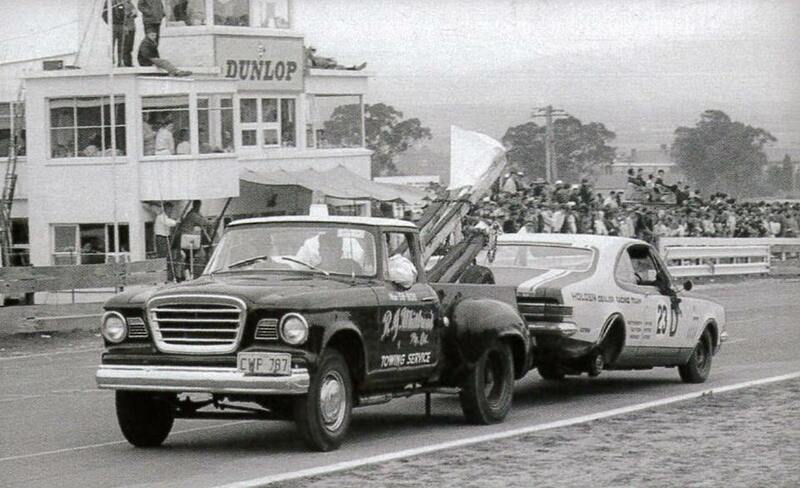 1968 - One of the Holden Dealer cars on its way back to the pits on the back of a tow truck. Photo: Tim Perrin. 1968 - The big Falcons charge up pit straight at Mount Panorama. Photo: Simon Barnfield collection. 1968 - Barry Seaton exits the cutting on the outside of Bill Evans - John Colwell Datsun. Photo: PK Hodge collection. 1968 - The field exits the mountain for the long run down conrod straight. Photo: unknown.